The official Madame Mayhem store has been restocked and we’re ready to ship for the holidays. Put in your orders now before they sell out! 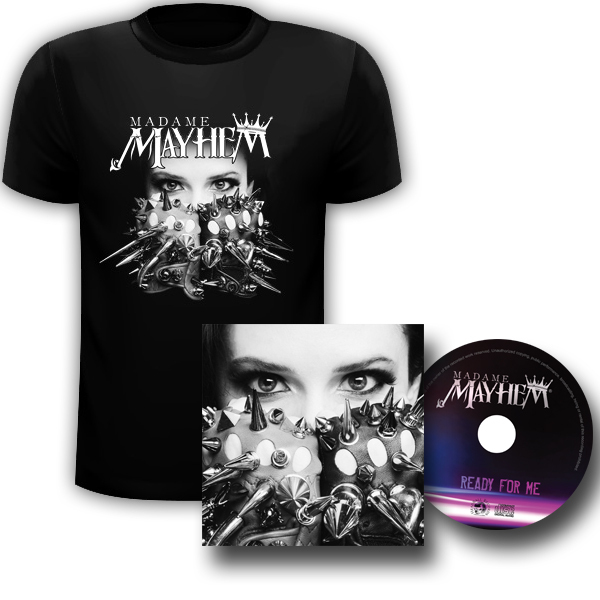 Includes copy of latest CD ‘READY FOR ME’ and matching T-shirt. BUY NOW. 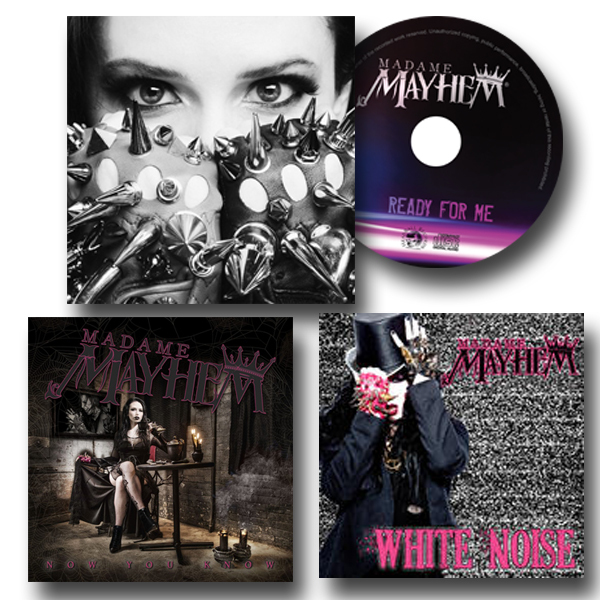 Grab a copy of each of Madame Mayhem’s CDs, including a copy of her first CD White Noise (very limited supply!). BUY NOW. through CelebVM. 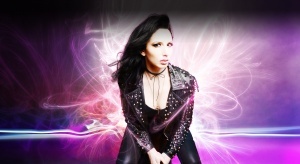 Buy directly through CelebVM or our store – be sure to send us any details you want Mayhem to mention! If you’re spreading Mayhem this holiday season – order by December 20 and select overnight shipping for delivery by Dec 23 (USA Shipping only)!